Get the best of both worlds - superior car coverage and attractive premium. 'Nimbu Mirchi' can only protect you from 'buri nazar' even if you're a fabulous driver. Insurance was created to protect you from unexpected and unlikely events. Here are some scenarios where a car insurance can act as a life saver. Now, a car insurance can't help you pay for medical bills in case you were injured in an accident. However, paying a miniscule amount like Rs. 8,000 every year can still help you cover those Rs. 50,000 [or more] worth of accident-related damages to your car. Third party property damage covered up to 7.5 Lakh and in case of physical injuries/death of third party, it will be taken into court tribunal. Disclaimer: Please note that the above figures are approximate and just for representational purpose, keeping a standard hatchback car in mind. They will vary as per the intensity of the accident or loss, car make model, and engine capacity. This compensates the damages to a third party and their property. It’s best for those planning to insure their car just because it's mandatory (but we wouldn't recommend that!). This covers damages to the third party, as well as your own car. It is best for those wanting to cover for losses for accidents and incidents such as theft and natural disasters. The own damage premium depends on Insured Declared Value (IDV), engine capacity and vehicle RTO. The IDV is the value of the car based on its ex-showroom price and depreciation percentage. An add-on cover depends on your car’s requirement and thus is a variable. The service tax is charged on the OD premium. For the repair or replacement expenses of plastic, rubber, glass and other materials which would otherwise not be covered in a regular policy. For times when the monsoons are at their destructive worst, and leave your car's engine and your tear glands vulnerable to flooding. To continue enjoying a discounted premium on your no-claim bonus year-on-year, even after making a claim during the policy period. To recover as much as the car's on-road price or Insured Declared Value, in case of total loss (such as theft or a really bad accident). Coverage against loss or damage caused by accidents, fire, theft, self-ignition, explosion, lightening, riots, terrorist activities or natural calamities. Coverage against financial liability caused by injury or death of a third party or damage to the property. Your responsible driving skills are rewarded with a bonus of upto 50% on your premium, for every consecutive claim-free year. Now isn't that a treat? Automative Research Association of India (ARAI) approved anti-theft devices can fetch you up-to 2.5% discount on your car insurance premium! Membership of the Automobile Association of India, secures you a concession on own-damage premium. Same car. Different insurance companies. Different car rates. Not all insurers offer same coverage and premiums. That’s the reason you should compare car policies. Comparison helps you to get the ideal coverage at a suitable premium. At Coverfox, you can compare car insurance quotes from 12+ top insurance companies of India in a matter of seconds to get the best possible premiums for your car policy. You get a completely customizable policy, when you compare quotes online. Customize your policy in terms of selecting the type of car insurance policy, car's Insured Declared Value (IDV) and Add-ons. And get real time quotes from the leading companies of India. See what's trending in your location and for your car. Don’t know which plan to buy? Do not worry. At Coverfox, when you compare quotes online, we help you to find the right policy by sharing what people having the same car model are buying and which is the preferred car insurer by people living near your location. Your pick of insurance add-ons. Car Insurance add-ons saves you tons of money at the time of claims. Coverfox's comparison tool helps you to check and compare different add-ons offered by different insurers. However, not all insurance companies provide every add-on. You can compare which companies give you the add-ons you need, and which don’t, and make your choice accordingly. Yes, companies offer discounts when you buy car policy. Every insurance provider gives some discount against the Own Damage component of your car policy. This discount varies from insurer to insurer for your car. Compare car insurance quotes to find out which policy gives you the most discount for your car. At Coverfox, we have negotiated up to 60% discounts with the insurance companies! Is your favorite Garage covered under cashless claims? Have a go-to garage for your car? Most of us have one. Compare and check which garages are covered under 'Cashless claims' for every insurance company. You can use our handy car tool get the list of cashless garage networks. Compare car insurance policies side-to-side on aspects like premium, IDV, add-ons available, deductibles, discounts offered, etc. to find the right policy. We make the evaluation process easier and help you boil down to the suitable plan for your vehicle. Check quotes from the top car insurance companies of India instantly. No hassle. 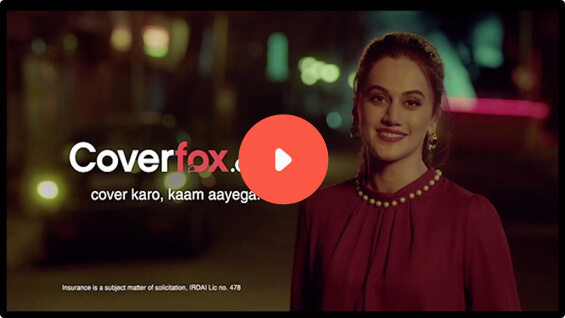 A complete online comparison can be done from the comfort of your home or even on the go with a site like Coverfox. You get to understand the ideal coverage for your car, the right price and possible discounts. You also get clarity about deductibles and exclusions. This fastens up your buying decisions. With vast options to choose from, you can assure yourself the best policy that is apt for your car. Doing a comparison, you also get to know if there are new insurers in the market who have better schemes to offer. You can save money in the overall process of buying a car insurance by comparing policies. A side-by-side comparison gives you free quotes offered by various insurers. This way the ball is in your court. Comparing car insurance online is much better as you can clearly see details of the product that insurers offer. You can compare to see who is charging higher premiums and on what grounds. Further, you can also read reviews of different plans to make your choice. You get what you see! Online car insurance comparison platforms have tons of resources like videos, infographics and articles to help you understand the finer points of Insurance. Be a smart and tech-savvy buyer and understand what you are buying. You'll never have to rely on an agent again! Get up to 60% discounts on own damage premium. The discount rates vary for each Car make, model and RTO. Check out the rates against your car! We have a team of experts to help you pick the right insurance for your car. We recommend listening to their advice and making your own decision. Renewal of your car insurance also becomes a really easy task because of our expert's unbiased advice. Our service managers are there to help you with any concern regarding your policy. Confused about some clause? Need something changed? Want to file a claim? We are here to help. Car damaged? No more waiting for days to get it back on the roads. Our Express Claims Service guarantees 3 day car repairs and claim settlement. Just give us a call, and we’ll do the rest. It’s a door to door service, you don’t have to move an inch! 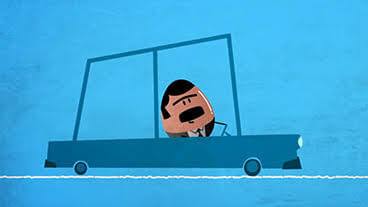 While renewing your car insurance policy online, leave no scope for ‘blind spots’. Apt Coverage: If you only have third-party plan, then you need to consider getting a comprehensive policy. This will cover you against heavy expenses of repairing your car in case of an accident. Check IDV: You need to get suitably compensated in case of theft/loss. Depending on your car's age, re-evaluate your car's Insured Declared Value against premiums. By this, you'd know if you have got the best price. Claims Check: This makes a huge different. If you haven’t checked the claims ratio of your previous insurer, don’t skip verifying it now. Check Cashless Garages: Take sure you look for the cashless garages near your area that would provide, repair services for your car. Ideal Add-ons: If you were not aware how add-ons can help you during claims, this is the time. If your car’s age is less than 5 years, consider covers like Zero Depreciation or Engine Protector or Return to Invoice. Deductibles & Discounts: Check if you’ve got all discounts that you are eligible for. A deductible indicates the amount you will have to pay every time before claim. If your policy includes it, ensure that it fits your budget. What is Claim Depreciation on my Car Insurance? What are Exclusions on my Car Insurance Policy? What is the procedure for making Claims on my Car Insurance? 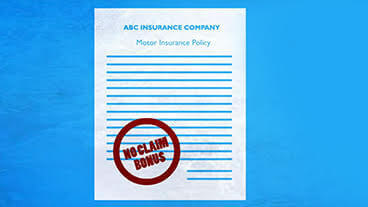 What is NCB or No Claim Bonus for Car Insurance? What are the documents required to buy car insurance online? With the availability of online platform, buying insurance is a very simple and hassle-free procedure. However, if the insurance company demands, you would need to keep the following documents handy. What are the documents required to register a claim? Copy of FIR/Panchanama in case of Theft or Third Party damage/death/bodily injury For more details on different types of claim process, read motor insurance. How do you compare car insurance plans before choosing one? Car Insurance Company: Check the company’s past records for the number of claims settled and the time taken to settle them. Premium and Coverage: Balance between the premium you are willing to pay and the coverage that you will actually end up needing. Also, don't forget to include add-ons accordingly. Cashless Garage Network: Be sure about the insurer’s network garages in your area. You must remember that you can avail cashless services only at these garages, so that's always tricky. How is the premium for expired car insurance determined? A car insurance policy will be valid for a particular period. After this period, the insurance policy lapses. It is advisable to renew it in time so as to benefit from the No Claim Bonus (NCB). If policy lapses and you renew it within 90 days you may still benefit from the NCB. Post 90 days, you need to initiate the process by filling details all over again and getting your car inspected by the surveyor. Also, as the NCB is lost it would result to higher premiums. Is online car insurance only for new car? No, online car insurance is not only for new car. You can also renew your existing policies online. Why car insurance policy is so important in India? We all know that cars have become a need in today's times. One of the most convenient and favored ways to commute to work is driving the car you own. Most drivers are aware that buying car insurance is mandatory as per Indian law. They also know that driving carefully would lower the car insurance premium and driving carelessly would increase the insurance premium. Also, being a new driver would again raise the insurance premium. But, driving a car minus a valid car insurance results in you paying a hefty fine according to the Indian law. This makes it mandatory for every car owner to get car insurance for every car they own. Car insurance is the actual reason why our cars run on the roads hassle free. Life becomes really relaxed and stress free when you have car insurance. Getting car insurance is not only mandatory but is important for your well-being too. There are numerous reasons as to why this insurance is needed. There are certain things that are never in your control. For example, your car getting harmed in an accident is not in your control. It’s not necessary, it would be the driver’s fault always. Freak accidents cannot be predicted in advance and hence cannot be controlled. If you buy a car insurance, you do not have to worry about spending money for getting it repaired in case of an accident. Apart from this, car insurance also provides coverage in case the car gets stolen. There are other coverage benefits too but those vary on the type of coverage you opt for. Car insurance is mainly categorized into 2 categories i.e. third party car insurance and the comprehensive car insurance policy. But what will surprise you (if you don’t really know) is that only the third-party insurance is compulsory by law. And therefore, buying comprehensive car insurance still becomes a matter of choice. Third party insurance for your car is nothing but the coverage guaranteed to the third party only .i.e. damage to another person’s vehicle or property, bodily injuries and permanent disability during an accident by your car and is mandatory by law. A comprehensive car insurance is a complete coverage for any damages done to your car due to any dents caused by any other vehicle during a road accident. Or say, the windshield of the car getting damaged or broken or may be your prized possession getting stolen. You may be thinking that it is useless to insure a car standing idle in the parking lot. But, you actually fail to understand that an unused car is more prone to damages. It really makes sense to go for an insurance cover for such a car than paying hefty amounts in repairing the damages. Even if your car is lying unused, buying a car insurance would not only get you the peace of mind but also take care of all the unforeseen situations. So, even if you do not drive, do not avoid to buy a car insurance policy. What is Personal Accident Add-on Cover? The Personal Accident cover available with the mandatory Third Party Insurance is up to Rs 1 lakh. However, one can increase this cover with the help of the optional Personal Accident add-on cover that is available on the payment of an additional premium. This rider offers a coverage for temporary or permanent disability and death caused because of an accident. Most car insurance providers advise opting for this cover as it takes care of your financial burden in case of unforeseen situations. Is there any add-on cover for car accessories? Yes, there is an add-on cover for car accessories. Add-on cover for car accessories is an attractive benefit offered by a number of car insurance providers that gives additional coverage for your car accessories. On the payment of an additional premium, you can ensure that you are covered of the cost incurred on your car accessories that most car insurance policies do not cover. Hence, this is beneficial and a cost-effective advantage for car owners. How to renew car insurance online? You can visit the insurer's website and enter your previous year car insurance policy details. In case you didn't lodge any claim during the policy period, you are entitled to No Claim Bonus (NCB) benefit, which is a discount on your car insurance premium. You can check different car insurance policies offered by various insurers and compare to pick up the best car insurance policy that best suits your needs before buying on online web-aggregators site. The renewal process is the same on most online web-aggregators. What parameters should I keep in mind while comparing car insurance quotes? While doing a car insurance comparison, you need to consider the amount you are willing to pay as premium with respect to the best coverage options available. Depending on the car model, engine type, and your area of residence, you need to understand your requirements and limitations. A little background research is required on the insurance companies. Compare car insurance premium breakup by different insurance companies. Check if the Insured Declared Value (IDV) is optimum enough to save you from total losses of your car in the event of an accident or theft. Choose add-on covers, like zero-depreciation cover, as per your requirement. Apply discounts (like No-claim Bonus on own-damage premium) and then compare to see if the insurance quote provides value for money. When you compare car insurance quotes on Coverfox.com, you get customized quotes for your car from different insurers available. In case you do not understand the plan that you choose or any other aspect of the plan that you wish to buy, then our expert advisors are available to guide you through the process. Can I expect the quotes to change if I compare now and then try again after few hours? It won't change in few hours. However, it may change after every 15 days only if insurance companies update their insurance prices. In such cases, the insurance quotes may increase or decrease. However, note that each year, IRDAI revises the third-party rates, so you would find a change in quotes annually due to revision in third-party part of the premium. If I have viewed quotes for comparison and want to save them so that I can review them later, is it possible to save quotes? For this, you can bookmark the URL and then view the quotes as per your convenience. Another option that you have on Coverfox.com is to view your quote and click on the button ‘shares these quotes’ and then copy paste the link and save it somewhere. Perhaps if you want to show these quotes to your dad or a friend, you could do so easily via the share button. Will my premium be cheapest if I stick to the same insurer every year? It is not necessary that your premium will get cheaper if you stay with the same insurer. Insurers usually don’t offer retention discounts online. They may have their own discounts to offer – Example: Occupation discount, etc. If at all your premium decreases it could be because your IDV has reduced. Or perhaps, you had a claim-free year so you can ask for NCB discount. Or perhaps you chose to discontinue certain add-on covers. For example, you may have had a zero-depreciation add-on but that would be valid only till the 5th year. From the 6th year onwards, since the add-on is discontinued, your premium is lowered by default. Your premium could also increase, if you may have added few more add-ons such as personal accident cover add-on or accessories cover add-on. Sometimes, due to increase in taxes, the premiums can increase. How do I make any changes in my existing car insurance policy? Please reach out to the customer support team with your policy details. You would be provided with a request number and the changes would be done. You can also visit the nearest branch of your car insurance provider with the requested documents. Contact your car insurance provider by sending an e-mail with the policy details and a scanned copy of your RC. You would be provided with a request number and the changes would be done. Send your policy details via e-mail and the correct address details to your car insurance provider. You would be provided with a request number and the changes would be done. You can also upload the scanned copy of your address proof on the official website of the car insurance provider. You can also visit the company’s nearest branch with a request letter for address rectification. Contact your insurance provider through the official website via an e-mail with the policy details and the correct address details. You would then be provided with a request number and the changes would be done. You can put in a request online and upload a scanned copy of your address proof. You can also visit the company’s nearest branch with a request letter for address change. Please visit the nearest branch of your car insurance provider with a copy of your RC book, request letter and policy documents. These changes might affect the premium charged, so you must carry a cheque along. If you transfer your vehicle on some other person’s name, the insurance policy also needs to be transferred on the new owner’s name. Your car insurance provider can help you with the same. For addition of hypothecation, you can send an e-mail with the policy details, a scanned copy of your request letter, your sanction letter from the financial institution and the endorsed copy of your Registration Certificate (RC) to your car insurance provider. You would be provided with a request number and the changes would be done. You can click here to place a request and upload the scanned copy of request letter, your sanction letter from the financial institution and the endorsed copy of Registration Certificate (RC). You can also visit the car insurance provider’s nearest branch with these documents. Please send an e-mail with the policy details, a scanned copy of Request Letter, your sanction letter from the new financial institution, NOC from the previous financial institution and the endorsed copy of Registration Certificate (RC) to your insurance provider. You would be provided with a request number and the changes would be done. You can place your request and upload the scanned copy of Request letter, your sanction letter from the new financial institution, NOC from the previous financial institution and the endorsed copy of RC on the website. You can also visit the company’s nearest branch with these documents. Reach out to your insurance provider by sending them an email with the policy details and a scanned copy of Request letter, your NOC letter from the financial institution, documents and the endorsed copy of Registration Certificate (RC) on their official email address. You can also upload the scanned copy of Request letter, your NOC letter from the financial institution documents and the endorsed copy of RC. You can also visit the nearest branch with these documents. How many times can I claim for Road Side Assistance during Car Insurance policy period? A maximum of 4 times can be opted by the insured related to any of the services under this add-on. The insured would be able to claim only for the services opted for by him at the time of policy issuance. Which documents are required to cancel your car insurance policy? If I lodge a claim after the expiry of my Car Insurance Policy for an event that occurred during the policy period, will it still be valid? Yes, you will be eligible for the claim even after the expiry of the policy date. This is possible because the event happened during the policy period. 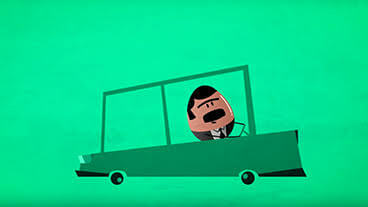 In Car Insurance Policy, does the insured have to pay the difference if the actual expenses are more than the cover? Can I renew my car policy online? Yes, there are multiple insurance providers that help you renew your policy online. This is possible starting 60 days before the expiry of your existing policy. In case your vehicle insurance policy has already expired, an authorised surveyor will inspect the vehicle before reissuing the policy. The policy would only be issued subject to a satisfactory inspection and submission of required documents. What is the meaning of ARAI in Car Insurance Policy? ARAI is the short form of Automotive Research Association of India. If you have installed an ARAI approved anti-theft device in your vehicle, whose installation is dully certified by the agency, you are eligible for getting a discount of 2.5% on the Own Damage (OD) premium subject to maximum of Rs. 500. If I install an Anti-theft alarm and locking system, is there any discount available in Car Insurance Policy? What is meant by endorsement in Car Insurance Policy? A written evidence of an agreed change in the policy is called an endorsement. It is a document that incorporates changes in terms of the policy. As applicable, an additional premium is charged. What does one mean by premium bearing endorsement in car insurance policy? A premium bearing endorsement is a kind of endorsement for which additional premium is charged. To cite an example, transfer of ownership, addition of LPG/ CNG kit, change of RTO location, etc. are premium bearing endorsements. What is Constructive Total Loss in Car Insurance Policy? Constructive Total Loss refers to accidental loss/ damage to your vehicle where the aggregate cost of retrieval and/ or repairs amounts to be more than 75% of the Insured Declared Value (IDV) on your policy. I want to make changes in my existing policy. What is the procedure for recording the same? If there are any changes in the existing policy, such as change of address or modifications to the vehicle or its use, it can be done by an endorsement by the insurance company. All you have to do is submit a letter to the insurer with proof for the required changes, and obtain the endorsement. Some endorsements may require you to pay an additional premium. Hence, you must check the correctness of the endorsement before submitting the same. 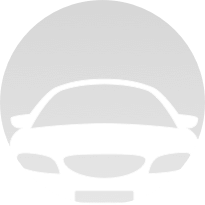 What premium rate is applied, if I use my car in a particular city? For the purpose of applying premium rate, the place where the vehicle is registered is taken into consideration, instead of the place where the vehicle is used. If your vehicle has been registered in Mumbai, the rate applicable for Zone A is charged. Even when you shift to a different city, the same premium rate will be applicable for your vehicle. Similarly, if a vehicle is registered in a town or a tier 2 city, it attracts Zone B premium rate. Subsequently even if the owner shifts to a metro, he will continue to be charged the Zone B rate. Is there a list of documents that must be kept in the vehicle while plying in public places? Is it possible to transfer my insurance to the purchaser of my vehicle? Yes, there is a possibility to transfer the insurance in the name of the buyer of the vehicle, provided the seller informs of such transfer in writing, to the insurance company. A fresh proposal form has to be filled in this case. There is a nominal fee charged for transfer of insurance with pro-rata recovery of NCB. This is charged from the date of transfer till the policy expires. Please note that transfer of ownership in comprehensive/package policies has to be recorded within 14 days from date of transfer. If the policyholder fails to do so, no claim will be payable for own damage to the vehicle. A valid car Insurance is mandatory by law for all cars running on Indian roads. There are mainly two types of car insurance in India offered by general insurance companies in India. They are- third party insurance and comprehensive insurance. Third party insurance covers for damage and liabilities of the third party only arising out of a collision. It is the most basic and cheapest form of car insurance to get. Comprehensive insurance covers for damages for the insured vehicle and also the liability of the third party arising from the accident. Car insurance premium calculation is done primarily on the basis of Insured Declared Value (IDV) of the specific model. The IDV is calculated on the ex-showroom price of the car and it changes annually as per the depreciation rate of a certain model. The other factors affecting car insurance premium include no claim bonus which is rewarded to the insured for not making any claims during the policy term. No Claim Bonus(NCB) can be accumulated to a staggering 50% on the premium amount. Discount on car insurance can be availed if the car owner has installed an anti-theft device approved by ARAI (Automobile Research Association of India) or opts for a voluntary deductible. All the above factors affect the final calculation of the car insurance premium payable. If I fit CNG or LPG kit in my car, is it necessary to inform the Insurance Company? As you fit the CNG / LPG kit, it is necessary to inform both the Road Transport Authority (RTA) where the vehicle is registered and your Insurance Company. The RTA will make a note of the change in the Registration Certificate (RC), and the Insurance Company will inform you about the payment of extra premium for the value of the kit to be covered under the “OD” and “TP” sections. The fitting of the CNG should be endorsed in the RC barring, which an insurance claim would be considered as void. What are the documents that are required to be submitted for a Car Insurance claim? If you are availing the cashless facility then only the repair invoice would be required. For theft claims, you would need to file an FIR with the local policy and the copy of the same needs to be submitted to the insurance company along with the keys of your vehicle and a non-traceable certificate. How is the premium of car insurance determined? The Third party cover shields you from loss or injury you cause to a third-party (the calculation is based on the engine capacity). You may also apply for the Personal Accident cover, which will protect you from accidents. The premium amount would have the PA cover and service charges would be reflected in it. What's not included in your Car Insurance Cover? Damages when the policy is not active. Damages due to oil leakage. Damages when you don't follow manufacturer's guidelines. A comprehensive car insurance will cover your car from instances of theft, fire and vandalism. It also protects from natural disasters such as cyclone, floods, earthquakes, or from civil disturbances such as riots, which damages your car. A list of what perils are covered will be provided in the policy document. Make sure you go through the list to understand the protection being offered. Along with this, it also covers any legal liability arising due to the damages caused to any third party triggered by your car. The third party car insurance only covers your legal liability for any loss and damages to third party because of your car. It will not cover you or your car for any damages suffered. What is covered under comprehensive car insurance cover? A comprehensive car insurance will cover your car from damages, which are caused from perils apart from collision. The comprehensive plan covers damage/losses to your car as well as third party. A deductible is a part of the monetary loss which you decide to bear in case of a claim. While the compulsory deductible is pre-set by the IRDA, you can choose to opt for a voluntary deductible based on your capacity of bearing the claim amount. The higher you opt for a voluntary deductible, lower will be your premiums. Does my city have an impact on the premium paid? Yes, it does. The location at where you reside can affect the premium. If your locality is prone to robberies, theft, burglary then the motor insurance premium will be higher than the localities where the instances of theft are less. The metro cities in India usually have higher premium than non-metro cities, you will find that cities are usually divided into zones for insurance purposes normally it is metro cities and the rest of India. What is the procedure for endorsement of existing car insurance policy? You may wish to make changes to your existing car insurance policy, and these changes are done through an endorsement. An endorsement is a written evidence of the changes made in the policy. If you need to make any changes then you can submit a letter to the insurer with the necessary proofs. This helps you obtain an endorsement, which can affect the premium to be paid for the policy. What car insurance cover should I buy? Should I buy Comprehensive Insurance or Third Party Liability Insurance? The Third Party Liability is also called as Liability Only or Act Only, and is mandatory by law for all vehicles plying the roads in India. The Liability Only covers the legal liability of the third party against damages to the property or any injury/death caused by your car. The policy type does not cover you or your vehicle. Hence, it is apt to go for the Comprehensive Insurance policy which will cover the ‘Liability’ and ‘Own Damage’. What are the recommended add-on covers in car insurance? The add-on covers are meant to support car insurance plans adequately. Some of the add-on covers are zero-depreciation, invoice cover, engine and electronic circuit cover and No Claim Bonus Protector cover. 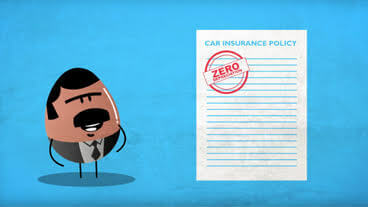 A zero depreciation cover ensures that the insured can have a full claim on the value of the parts without deductions for standard depreciation that are replaced after an accident. The invoice cover ensures that you will be reimbursed the ‘on road price’ in case the car gets stolen or has a total loss due to a major accident. The engine and electronic circuit cover offers protection during flooding. The No Claim Bonus cover helps you retain the NCB benefit even after one claim has been made during the year. What is the period of the policy in a car insurance policy? A policy period is the duration during which the policy is effective. The policy period starts on a particular day, which is defined on the purchase of the policy and. It is valid for one year or a period of three years depending on the insurance plan selected by the insured. Can I cancel car insurance anytime? Yes, the policy can be cancelled and the unused premium amount refunded usually on a pro-rata basis. This will happen only if an alternate insurance proof is offered, and claims aren’t raised subject to 30 days prior to the policy expiry date. If a claim is raised, refund shall not be made. There could also be a nominal cancellation, which is charged. Depreciation in car insurance refers to loss of value due to wear and tear of the vehicle. The rate of depreciation is significant from the time you buy the car insurance policy. It is applicable to each car part except glass. The rate of depreciation is 50% for rubber, plastic parts, tyres and tubes, batteries and air bags; while a 30% for all fibre components. What is cover note provided by my insurer? And how will it help me? A cover note is an interim document, which is issued by the insurer until a final insurance policy can be provided. The cover note will have the name of the insured, the insurer and details of the coverage. A cover note is usually valid for a period of 60 days and the insurer issues the Certificate of Insurance before the expiry of the cover note. It enables the purchaser to cancel the policy, and receive a refund on the condition that a claim is not yet made. Can the No Claim Bonus on my expired car insurance be transferred? Yes, it is possible to transfer the No Claim Bonus (NCB), which is accrued to the new insurance policy even after expiry. This is possible within 90 days from the expiry of the car insurance, the NCB benefits post this period is not transferable. Within 90 days the amount and discounts earned are all transferred to the new policy. What are the discounts that can lower the premium? The premium can be lowered by availing the No Claim Bonus (NCB). There are more discounts which can be availed under the Own Damage premium for membership of Automobile Association of India, Vintage Cars (Private cars certified by the Vintage and Classic Car Club of India) and installation of anti-theft devices approved by the ARAI (Automobile Research Association of India), Pune. There are also concessions for modified vehicles for the blind, handicapped and mentally challenged persons that is endorsed in the RC by the RTA. Can the insurance continue to be in the name of the previous owner whereas the vehicle is transferred in RTO records in my name? No, this is not advisable. The registration and insurance of the vehicle should be in the same name and same address otherwise the claim might get denied. So a fresh proposal can be filed and with the payment of a nominal fee so that you can initiate the transfer of the insurance. The value of wreck when a vehicle meets with an accident where the vehicle is damaged is considered as salvage. Whereas when the retrieval of the damaged vehicle to its initial condition is not possible is considered as total loss. What is a cashless claim and reimbursement claim? A cashless claim is the complete responsibility of the insurance company. Most of the companies have their own garage network, which can repair the damaged vehicles. The owner does not have to worry about the expenses apart from the consumables (not covered in the policy). The payment of only the difference amount as confirmed during the process of the claim needs to be made. What documents are required to avail the cashless facility? A copy of the vehicle’s registration book. The driving licence copy of the person driving the vehicle. FIR copy in case of third-party injury/death. You will need to read the policy document to check the documents required apart from the ones which are listed. The certificate of insurance is a document which provides information on the specific insurance coverage issued by the insurance company as per the Rule 141 of Central Motor Vehicles Rules 1989, and only in Form 51. The document offers information on the effective policy date, type of the insurance coverage. This document should always be carried in the vehicle. What are the documents required to be kept in the vehicle while plying public places? The documents which you need to keep in the vehicle while plying public places are the Certificate of Insurance, a copy of the Registration Certificate, the PUC (Pollution Under Control) certificate, and the Xerox copy of the driving licence of the person who is driving the vehicle. What should you do if you lose your car insurance policy papers? Step 3 - Place an advertisement in an English and a vernacular newspaper that gets circulated within the state where the car insurance policy was lost or misplaced.